Exeter and Plymouth Gazette - 11 February, 1944. 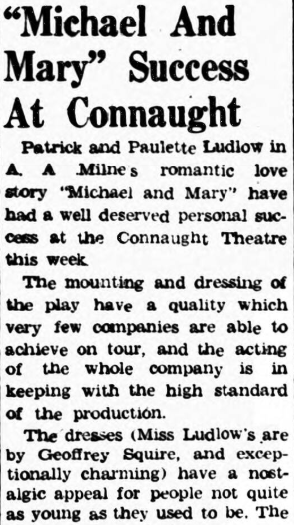 "...polished performances were given by all in the cast, which includes Frederick Annerley, Brenda Gay, Greta Wood, Charles Mortimer, Frank Henry, John Hurrell, Jean Haines, Cathleen James and Ronald Nelson." 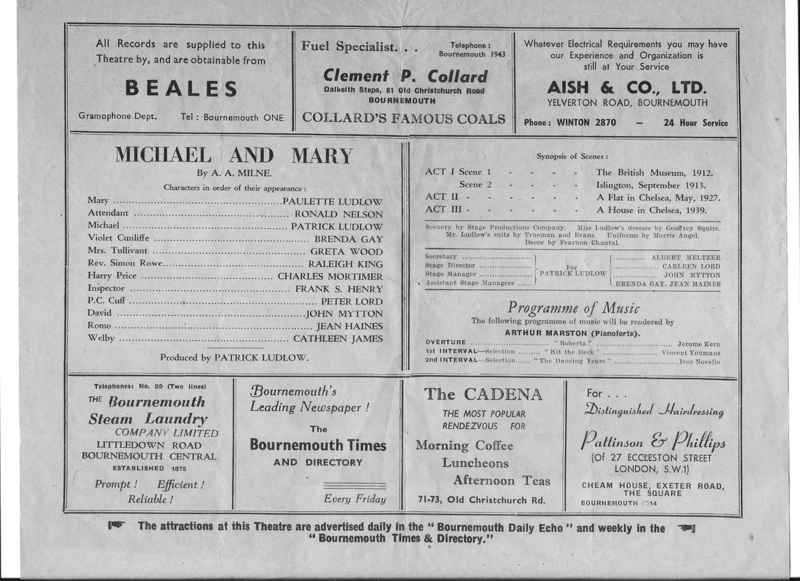 Charles Mortimer was in the cast of "Michael and Mary" as Harry Price. Also performing was his partner, Greta Wood, as Mrs Tullivant. 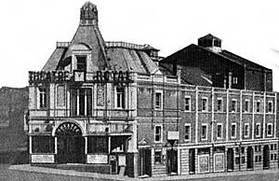 The play was produced in Exeter, Torquay, Bournemouth, and Worthing. An article from the Exeter Gazette of 11 February, 1944. From The Western Mail of 8 February, 1944. 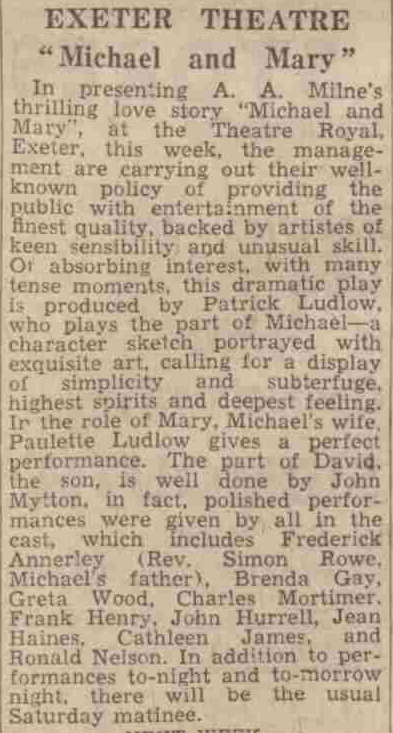 For the first time in the city, Paulette and Patrick Ludlow played opposite each other at the Theatre Royal, Exeter, last night. They were co-stars in the name parts of A. A. Milne's thrilling play "Michael and Mary", in which love, deceit, perjury, comedy, and drama were the headlines of an absorbing story. The Ludlows were at ease in all the contrasting scenes and situations, acting with a simplicity and .restraint in their portrayals of characters demanding careful study and the best interpretation. They were supported by a strong cast, particularly Charles Mortimer, of "Young Woodley" fame. The play was not only well acted, but excellently produced. There are matinees on Thursday and Saturday. 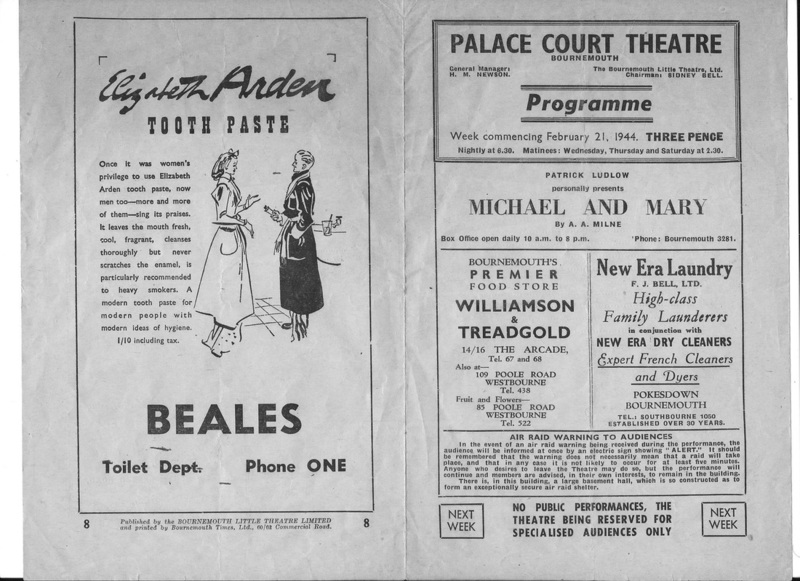 From The Worthing Herald of 3 March, 1944. 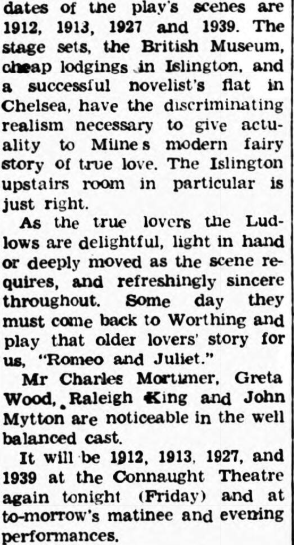 From The Worthing Herald of 10 March, 1944.